Completed 1945 as Modoc Point for U.S.M.C. 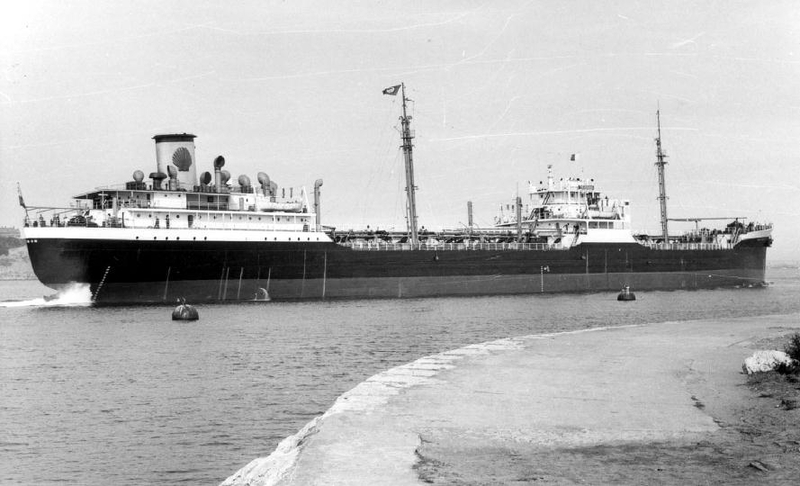 1947 purchased by STUK and renamed Theodocus. 8-1959 laid-up Lough Swilly. 9-6-1962 scrapped Faslane. In 1955 or 56 I was returning to New Zealand on annual leave. The first part was as a supernumery engineer from Singapore to Geelong. The trip south was good but turning to cross the Australian Bight changed that. There were, I think, three of us sleeping in a cabin built above the poop deck. It had no lining or heating. We used as many blankerts as we could scrounge plus our great coats. We still froze. We were only too happy to spend as much time as possible down in the engine room. Bad as it was for us, the crew had it worse. With the steep seas their cabin portholes were under water most of the time. Water came through them in a jet. It then filled up the cabin floor until it sloshed out in to the companion way. Here it flowed back and forth in a wave which would have made a surfer feel happy. The ship was definately a T2 tanker and I'm pretty certain that it was the Theodoxus. 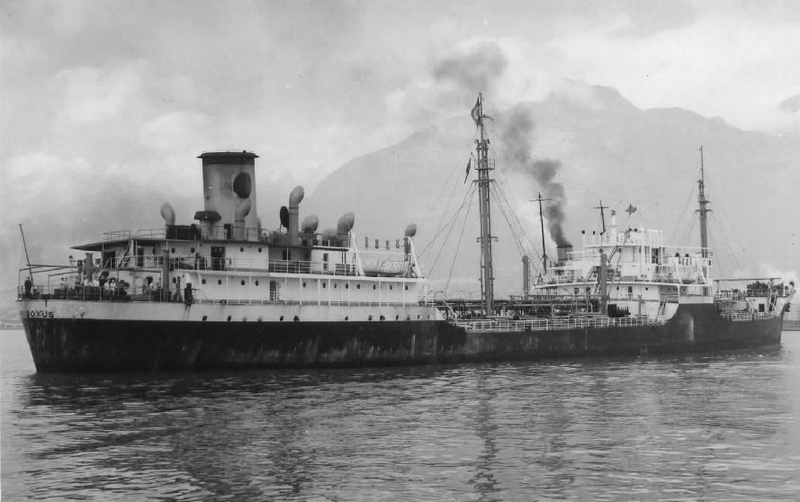 Could any one confirm that the Theodoxus was trading between Singapore and Australia about that time? 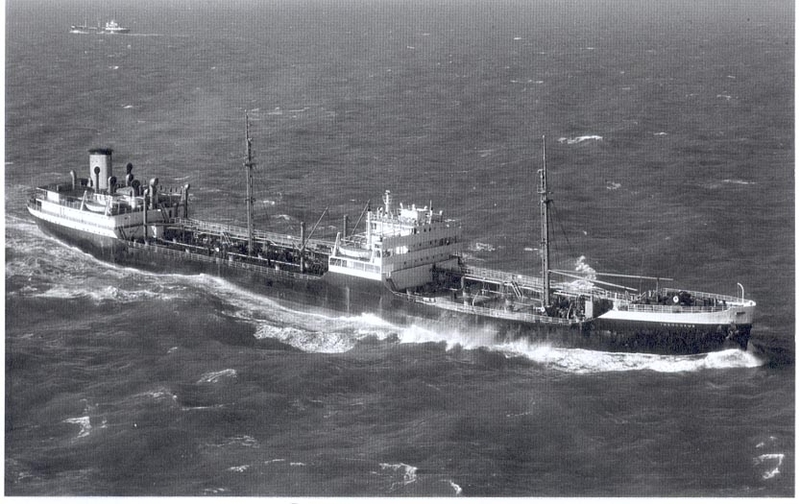 I joined theodoxus at eastham in march 59, after id paid the taxi off i stood looking up at the ship, i realised she had a very unusual feature both her topmasts were bent. the foretopmast was folded backward almost touching the foremast, while the maintopmast was raked back some 40 degrees, a most unusual sight.i went onboard and realised i knew the 2nd mate i was relieving so i asked him to explain the masts, reluctantly he did so.the ship was loading in lake maracaibo the old man was plastered the pilot arrived and he got plastered they let go from the berth and promptly got lost eventually striling some of the power cables that criss-cross the lake like spiders web hence the new style masts.in shells house magazine sometime later there was a report on the incident the last sentence of which stated "the master has since left the companys employ"
Does anyone remember George McHugh, or know what happened to him. He vanished from the Theodoxus around 1950 /1951. Have you sailed on Theodoxus? Log in and add yourself as a sailor to the Theodoxus! Log in and add your personal story to the Theodoxus!